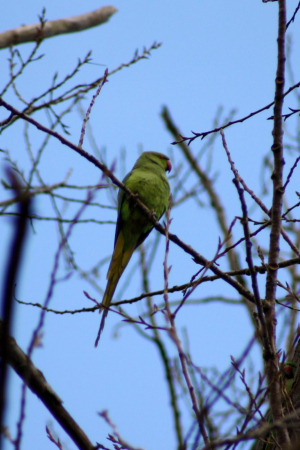 Observation - Ring-necked Parakeet (Psittacula krameri) - UK and Ireland. Description: Parrot shaped, long tail, red bill, loud! Parrot shaped, long tail, red bill, loud!